Sjaak Seen is the Operational Leader of the Multidisciplinary Crisis team, in the Rotterdam-Rijnmond Safety Region. A safety region is an area where emergency services and municipal authorities coordinate response and preparedness for disasters and emergencies. Rotterdam-Rijnmond is one of a total of 25 safety regions in the Netherlands. It is home to the largest port in Europe, 50 per cent of the chemical industry of the Netherlands, and 1.2 million people. Therefore, disaster management and response are of high importance. Mr. Seen has a wealth of experience in the area of disaster response, having worked in emergency management for over 30 years. 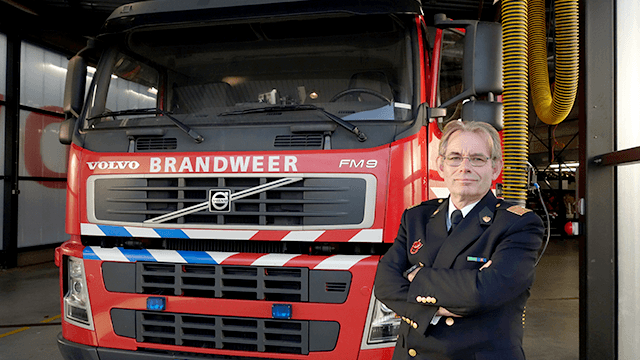 He started his career as a fire fighter and was the Chief of Safety and Operations at Rotterdam Fire Department. Currently, besides his role as the Operational Team Leader, he also works as a team leader for United Nations Disaster, Assessment and Coordination (UNDAC) and is Staff Group Commander of the Urban Search and Rescue Team, the Netherlands (USAR.NL). In both these roles he is deployed in times of crisis to various locations across the world. What advice would you give to people to prepare for a disaster? The standard message that I always tell people is ‘When the sirens go, stay indoors and listen to the disaster broadcast media’. We have in place a safety information system, where people are informed through a number of channels. People can register their mobile phone number with the system to receive information on their mobile phones or download apps which provide information. During an emergency, we also push information to all mobile phones even if they haven’t registered. There are also Dynamic Route Information Panels (DRIPS). DRIPS are information screens on highway, on the roads or even at train stations that are used to display the latest information to alert people. What does the Multidisciplinary Crisis team do to prepare people for a disaster? We focus on pro-action, involvement of the community with the aim of improving community resilience. We make sure that we visit every house for a home safety check at least once. If they need it we give them a smoke detector for free. We started an education programme for children, the elderly, for minorities or new foreigners in the region. We also have a programme for deaf people. We try to reach out and go out into the field and have programmes where we can encourage people to interact with us. What kinds of big emergencies have you had to react to in the region? We’ve had to deal with hazards such as chemical leaks for example. However, many of our emergencies are fire related. We’ve also had train accidents with casualties. In 1953, there were severe storms in the Netherlands. There was lots of flooding. The Netherlands learnt a hard lesson and improved the dykes and created better water distribution systems. We are now well prepared for floods, but now there is the threat of global warming and rising sea level. It is predicted that El Niño will be the worst in 30 years. In this situation, the district water boards have to decide how to react. They have to decide whether to release the dykes, to release the pressure. They have to decide whether to close the Maeslantkering (storm surge barrier) in our Region if the sea level rises. Is there a person in the community who is responsible for disaster response? Who can volunteer to do this kind of work? This is done through the system, which means that disaster responders are often taken internally from our organisations and are professionals with the right training to do the work that is necessary. It is essentially good expertise that is needed. We also have paid volunteers from our Region who join our organization. These professional and volunteer responders have to be equipped because it might be that they have to go to the forefront of emergency situations. The training starts from 3 to 6 months. They first do basic training, but after this, there are many more levels and these can take years. There is an advanced education system to train people. There are the fire academies and also a two-year Master’s course which costs €25,000. It’s not just education but also hands-on training at the fire training facilities. Many responders also go to the UK and Sweden to do live training, to rehearse what they’ve learnt. It’s a multidisciplinary approach. Annually, they are required to take part in a two-day training programme to ensure that they are capable of doing the work they need to.